With the growing aging population, the need for care is expected to increase dramatically over the next twenty years. The number of available caregivers per client has seen a decrease and this is only expected to continue. One of the strongest responses as a nation is to provide resources that enable individuals to age in to comfort of their own homes. Not only is this preferable for those requiring care, but it also relieves the stress surrounding the impacted facilities that would result if in home care were not an option. 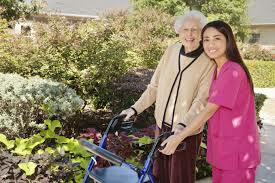 As a home care agency, there are a number of ways to ensure that you are offering quality, available in-home care. Make sure that you are using the most advanced home care system available to take advantage of the features that will help you support care providers, care recipients, and beat the competition. Aging in place is a long term industry. Make sure you partner with the robust technology of a home care system like ClearCare Online to ensure that the home care software being used to run the agency is robust and dynamic in support of the evolving needs of the home care industry. With the increasing need for home care comes a high demand for caregivers. Make sure that your home care software offers integrated marketing systems for hiring new employees to ensure that your staff size meets your growing clientele. Use home care software that offers an online application that feeds directly into your system, allowing you to easily advertise for new employees while managing applicants closely. Make sure that your home care system integrates with a background check service that allows you to efficiently hire quality care providers. As you prepare for an increase in client base, make sure that your home care system can accommodate more payers. Undoubtedly, the number of insurance companies you will bill out to will increase as you start working with more clients. Use robust accounting features of home care software like ClearCare Online to keep close track of each and every payer’s information, services and authorizations. Use an advanced home care system to invoice directly out of your home care software to all necessary companies. It takes a team to prepare for the dramatically expanding population requiring care, so make sure that you choose a home care system dedicated to partnering with you to accommodate these needs!